Modern Hair Salon Winter Park: Protect Your Hair With These Tips! In the hot summer sunshine, it can be difficult to keep your hair soft, shiny, and smooth. This is especially hard if you regularly color or bleach your hair. 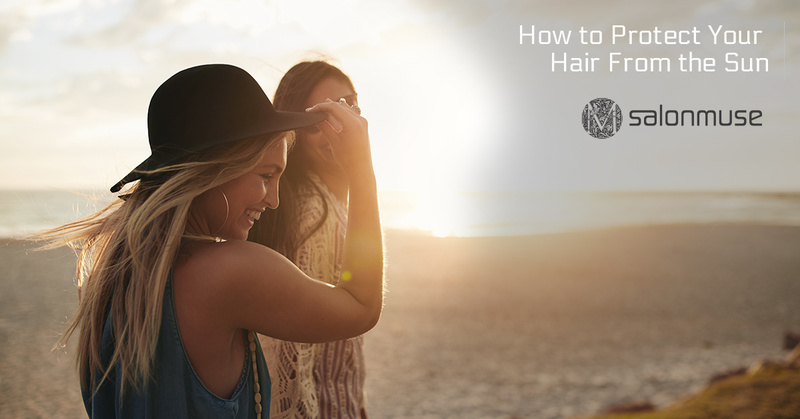 In this post, we’ll discuss some easy ways to protect your hair from harmful UV rays so you can enjoy the Florida summer without worrying about frying your mane. If you need a hair makeover or simply a trim, contact Salon Muse in Winter Park. Our expert stylists will help you feel and look amazing so you can feel amazing every day! Make an appointment with us now! Spending a day at the pool or beach? Wear a sun hat to protect your strands! Not only will you have a physical barrier between your hair and the harmful UV rays, but a sun hat will also help keep your color from fading in the sunshine. Dry shampoo will help you wash your hair less so your color will stay vibrant and beautiful for longer. This is also a great way to cut down on your time getting ready in the morning so you can sleep in later. Try spraying dry shampoo in your hair at night so you can wake up to fresh strands in the morning. A deep conditioner or oil is an excellent way to keep your hair smooth and moisturized, especially after your hair is colored or bleached. Try putting it on and then putting your hair into a bun when you’re headed to the beach to create a barrier between the salt water and your hair. At Salon Muse, we want you to feel like a million bucks when you leave our salon. Give us a call now to schedule a hair appointment now! We look forward to making you feel beautiful.